Economical hoist ring with a low profile and high load capacity. Forged base and solid-loop forged ring. Pivots a full 180 degrees, but does not rotate. Safety factor = 5:1. Made in USA. 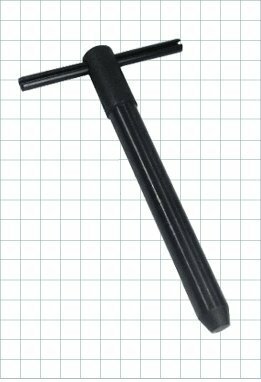 Shoulder-type eye bolt that can be used as a stationary hinge point. Reamed hole for smooth bearing. Made in USA. 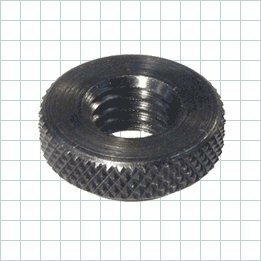 Multipurpose lock nut for finger tightening. Made in USA. 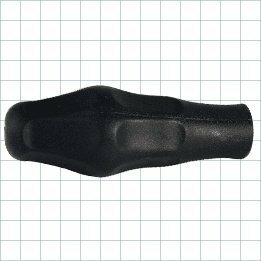 Perfect fixture key for most applications. Keys are interchangeable because they all fit in a standard 5/8" reamed hole. Allows mounting any fixture on any machine tool simply by switching keys. Eliminates the need to slot the underside of a fixture. Concentricity .0005" TIR or better. Lock in place from above or below using a hex wrench. Made in USA. 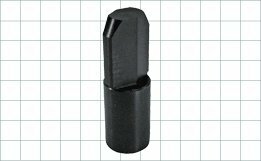 Precision locating pins with a tapered tip for easy part loading, and a shoulder to resist downward forces (superior to standard dowel pins). 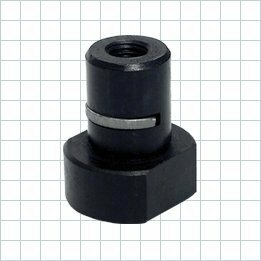 Round Pins and Diamond Pins are often used together to locate from two holes in a workpiece. Diamond pins are relieved, to locate only in 1 axis. Round Pins are also useful as side locators. Head and shank diameters are concentric to within .0005" TIR. Made in USA. Jig Pins are removable locating pins, precision ground for accurately aligning holes. 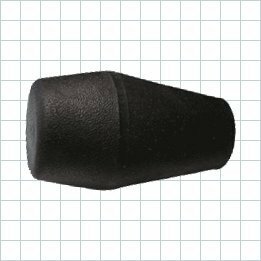 Similar to an L or T Pin, but with a shoulder to keep the handle raised, and with pin diameter ground .0003" under nominal size. To convert from a T handle to an L handle, slide the roll-pin handle by tapping it with a hammer. Made in USA. 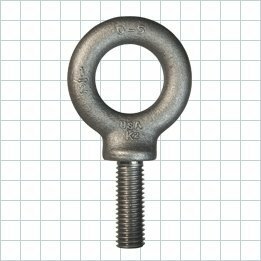 Lifting Eyes are forged steel eyebolts with an integral shoulder for greater strength. 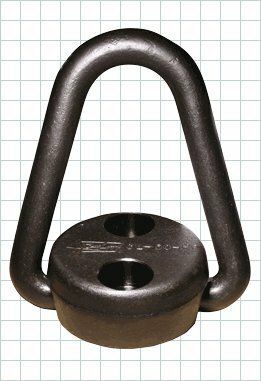 These simple, economical lifting devices are suitable for vertical lifting in-line with the threaded bolt, such as when lifting from a single point or from two points with a spreader bar. 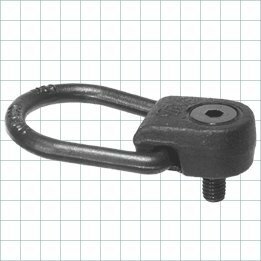 For lifting at an angle, Swivel Hoist Rings should be used instead. 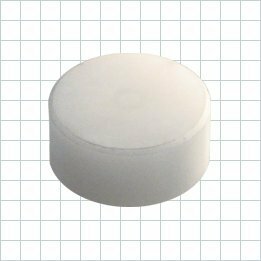 Manufactured and tested according to ASTM A489 and ANSI B18.15 specifications. Safety factor = 5:1. Made in USA. Attractive square design, ideal for lever handles. Made of cushion-grip plastic, a unique material that feels soft to the touch, comfortable yet rugged. Textured non-slip, non-glare finish. Molded-in brass insert provides superior thread strength. Made in USA. 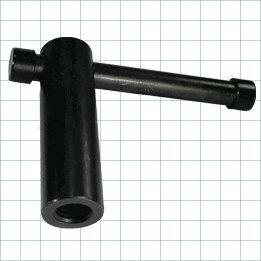 Extension nut with a sliding bar handle for excellent leverage. The bar can be moved to any position for convenient tightening, and is held in place by light spring force. Available in steel or stainless steel. Made in USA. This item is designed to fit specific vehicles. Please ensure correct part fitment before purchasing this project. 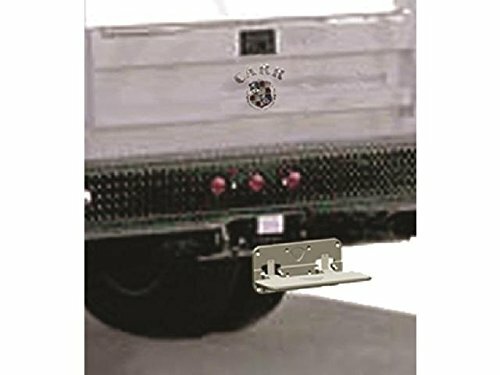 Contact the seller directly for additional product information and availability.MEGA STEP HITCH MOUNT. Flat Round Grippers are hard, replaceable inserts used to provide additional wear resistance when installed in a fixture. The carbide-tipped grippers shown here are the most durable. Made in USA. 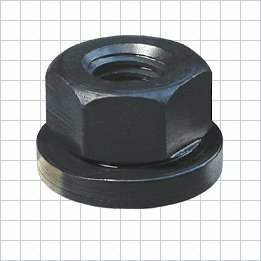 Nut turns freely without pivoting while the contact pad remains stationary, to avoid moving or marring the workpiece. Made in USA. This unique, ergonomically designed handle provides an extremely comfortable grip. Greatly reduces stress on hands, wrists, and arms, to help eliminate the risk of repetitive-motion disorders. Textured non-slip, non-glare finish. Molded-in brass insert provides superior thread strength. Made in USA. Forged base rotates 360 degrees while the solid-loop forged ring pivots 180 degrees, to allow lifting from any direction. 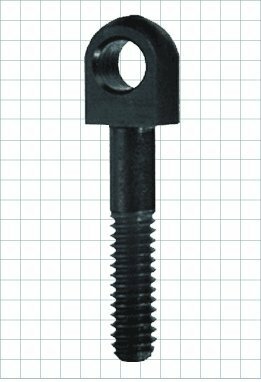 High-strength shoulder screw furnished. Safety factor = 5:1. Made in USA. 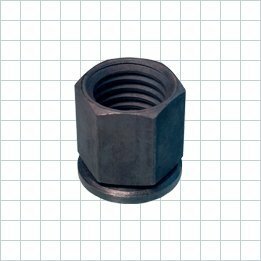 Heavy-hex nut with a flanged face. This large bearing surface prevents damage to the part underneath. Ideal for clamping over a slot. Fully machined from solid barstock for extra strength, unlike inferior substitutes.